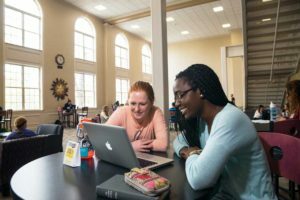 Living on campus allows you to experience college life to its fullest. 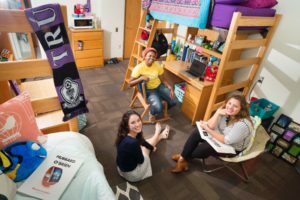 You are close to classes, the library, and the Rec Center, with easy access to the student activities that make campus life so rewarding. Home to nearly all of our freshmen as well as a majority of our sophomores, juniors, and seniors, each of our university residences has its own unique personality. 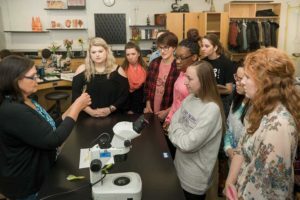 Students studying a range of subjects from music to communication to biology can pursue their curiosity in depth using our classrooms and learning facilities that include multiple scientific teaching and research laboratories, a greenhouse, walk-in environmental chambers, production lab facilities, a music computing lab, and an electronic music studio, among others. Pickler Memorial Library—complete with lots of open space, window seating, views of the Quad, and a large atrium—features Starbucks, computer labs, group meeting and study rooms, assistive technology lab, and many other student services available. The Student Union Building also has plenty of spots where you can eat, socialize, attend events, and study. 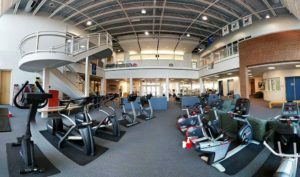 Our Recreation Center provides a place for students to stay active and healthy through the use of our multiple gymnasiums, weight room, cardio equipment, fitness classes, intramural sports, and more. 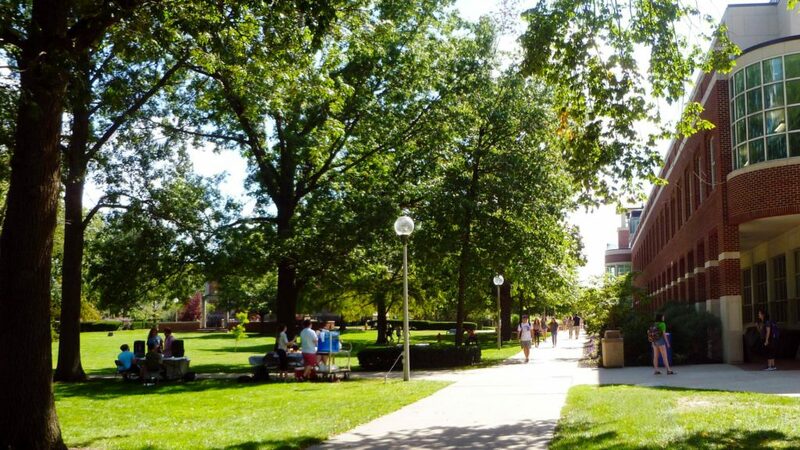 The Quad, a large grassy area in the heart of campus, is a fun and relaxing place with all kinds of spontaneous events from Frisbee, to yoga, to an energetic game of Humans vs. Zombies. Whether you’re preparing for a visit or can’t make it to campus in person, you can get a glimpse of our beautiful campus. 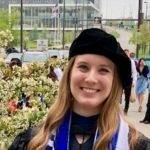 Take a Virtual Tour to explore campus more in depth as your student tour guides introduce you to some of their favorite places through videos and photos. Or watch our One-Minute Tour for a quick walk around campus. From the first moment I stepped onto campus, Truman was home. It always felt right. It gave me lifelong friendships, countless memories, and above all, it helped me grow.